Crane rail systems have a working life dependent on the operation of the crane or machine on the rails. They are also dependent on sound foundations and reliable strong structure support. Gantrail have gained experience in the diagnosis of problems in many applications around the world. Gantrail receive many photographs of problem crane rail installation every year. These combined with a full description of the issues can lead to a solution without the cost of a visit. 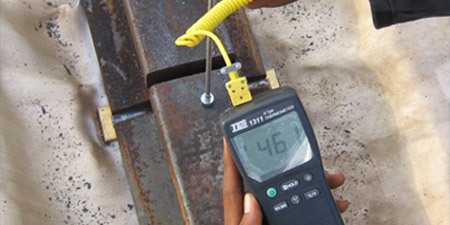 But we can offer the full range of diagnostic analysis including observation of operation, accurate measurement survey, paint thickness monitoring metal hardness and composition analysis. Indeed any technique that will explain the problem. We can deliver a valuable understanding of the special needs of your industry. Appraisal of the proposed rail installation design. An alternative new economic design if appropriate. Supply of the supporting contract documentation i.e. outline welding procedures and method statements. Calculations to support the design. Inspection and appraisal of existing installations. Communication with operators / drivers to assist in the investigation of specific problems. Gantrail employs staff with a range of skills from degree level staff to highly skilled on site technicians. 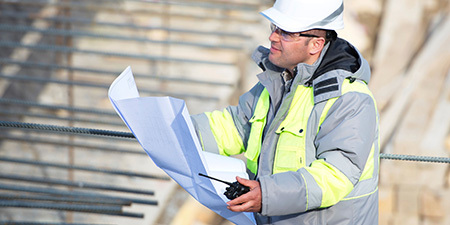 We make use of appropriate resources including survey by means of total station laser systems. The company have been installing, inspecting and refurbishing crane rails for more than fifty years in all industries using steel wheeled cranes that run on steel rails. Some customers carry out surveys before we are called in and these range from dimensional to photographic. Our experienced staff are always keen to work with the customers to maximise efficiency, minimise time and produce the best results. Or we can do the whole job.